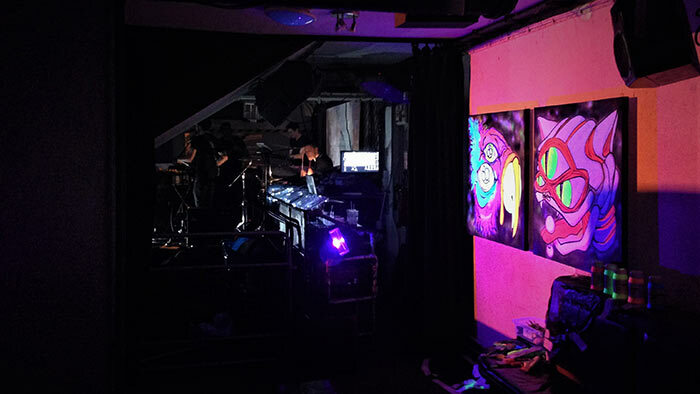 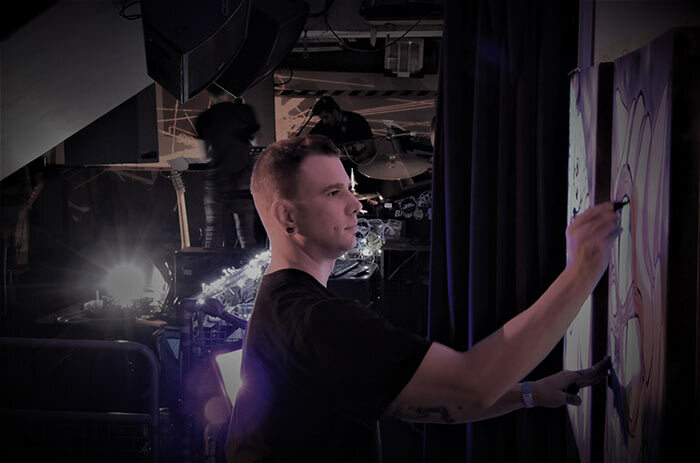 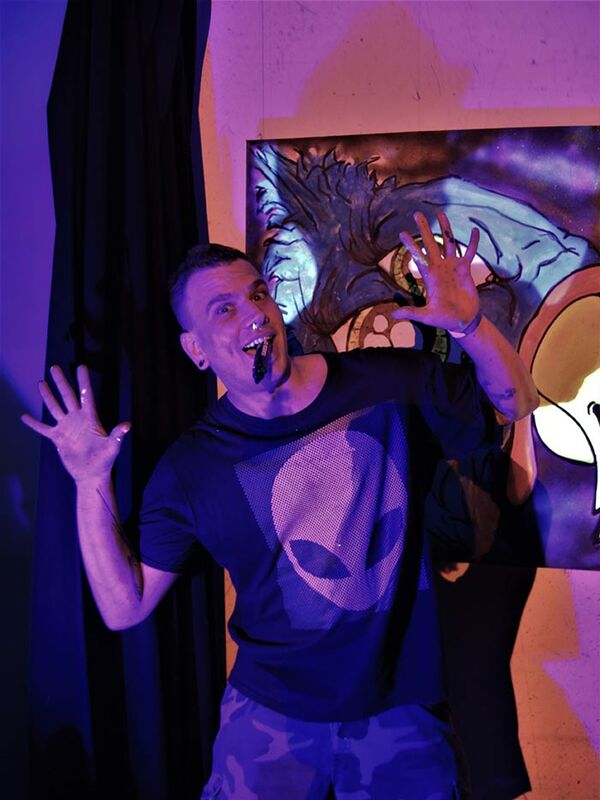 It was pure pleasure to be invited and paint live black light art at the Caralis gig (with Cerian in support) at the Notting Hill Arts Club London. 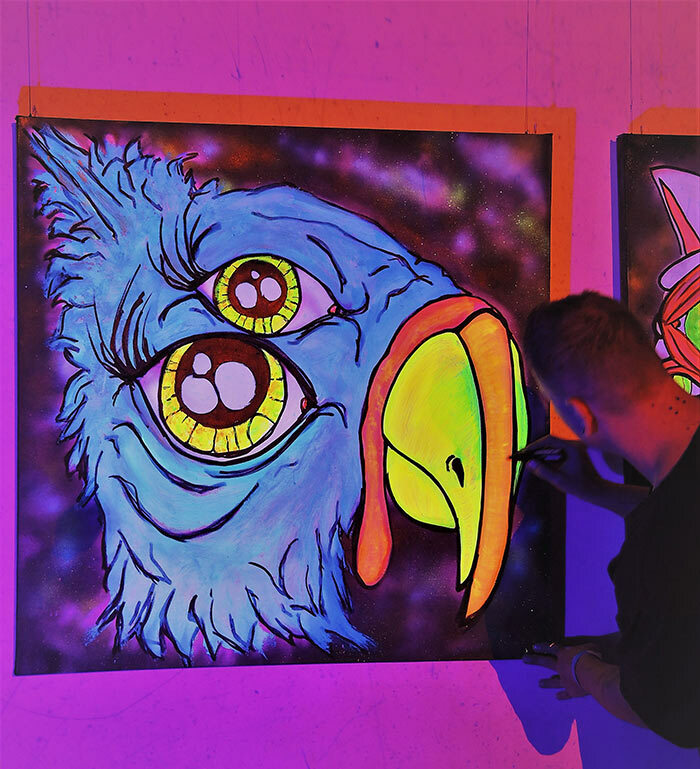 It was what is my mind a perfect night out; good people, fantastic vibes, great live performances by talented musicians, dj spinning some great tracks, tasty projected visuals and a chance to vibe of it and paint live canvases using black light paint. 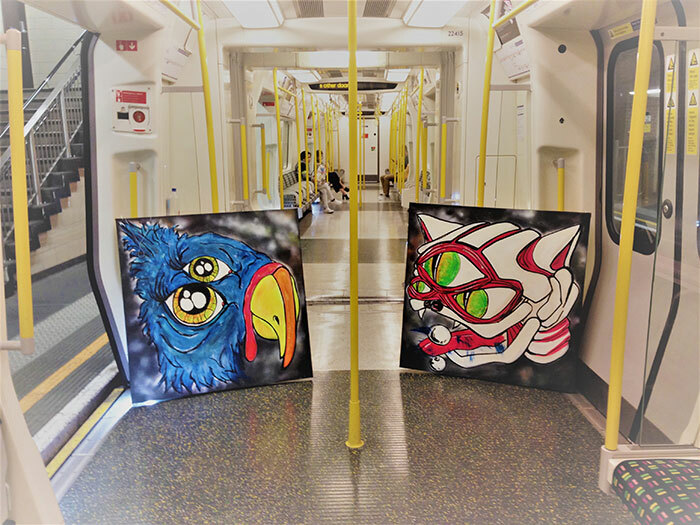 Below are some photos from the event and the journey home, in this case I did have a pretty good idea of what I wanted to paint, time was short (3.5 hours) so I really had to work fast to get something looking finished. 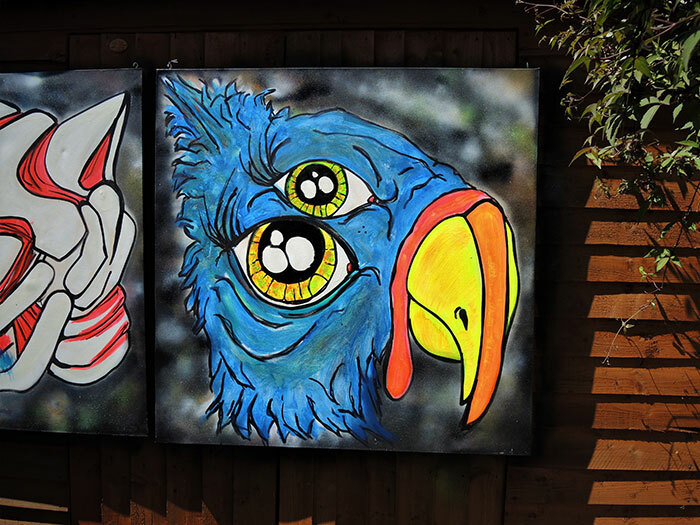 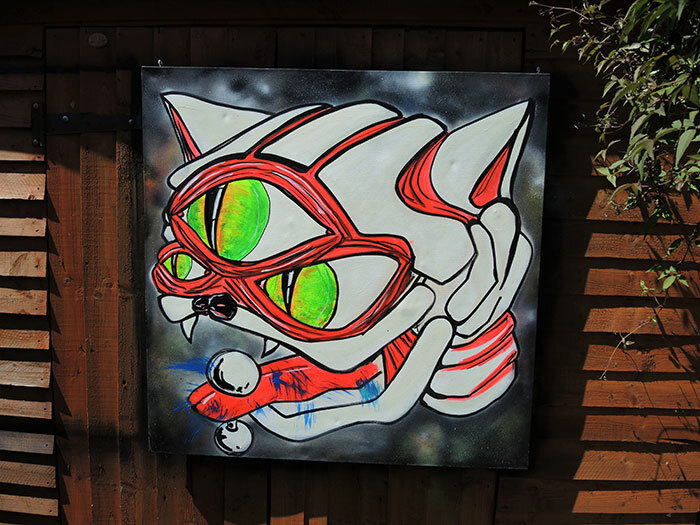 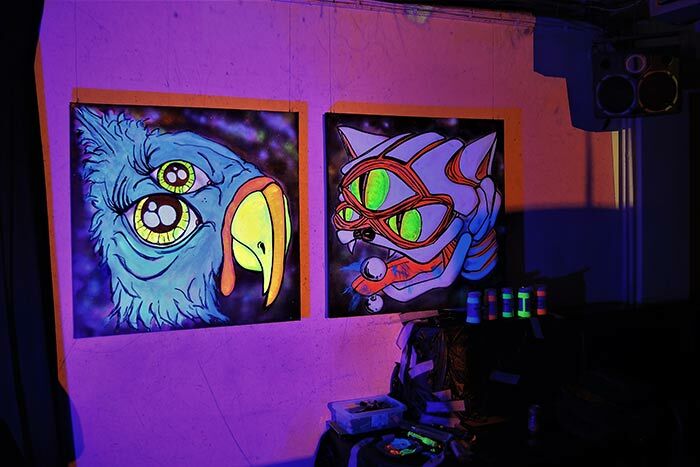 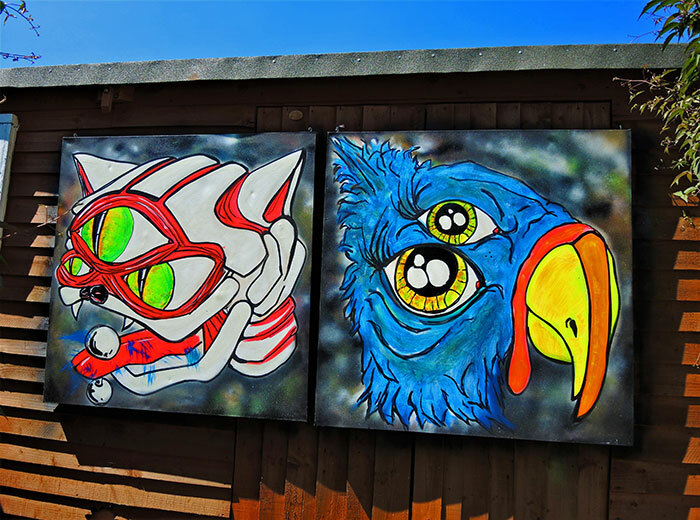 The end result are these two 1m x 1m square canvases, on the left “Space Turkey” and “Galaxy Cat”. 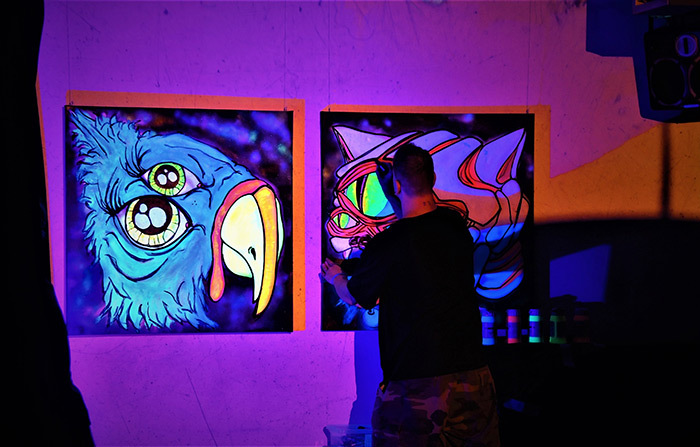 I used a combination of a base layer of Montana spray paint, Posca marker pens, and Liquitex Black Light acrylic paints. 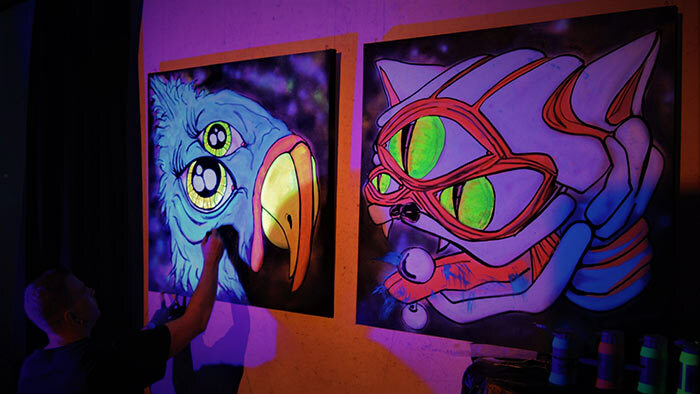 Happy with the results but moreover happy to have been part of this awesome event and have met some really nice people. 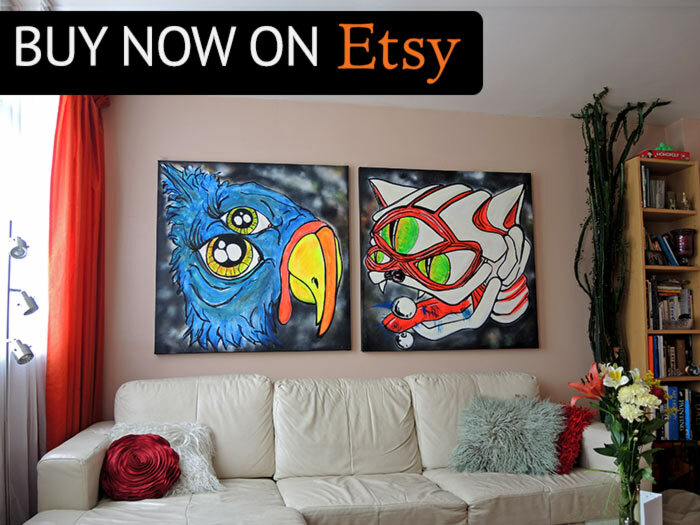 Give these pieces a nice home they deserve! 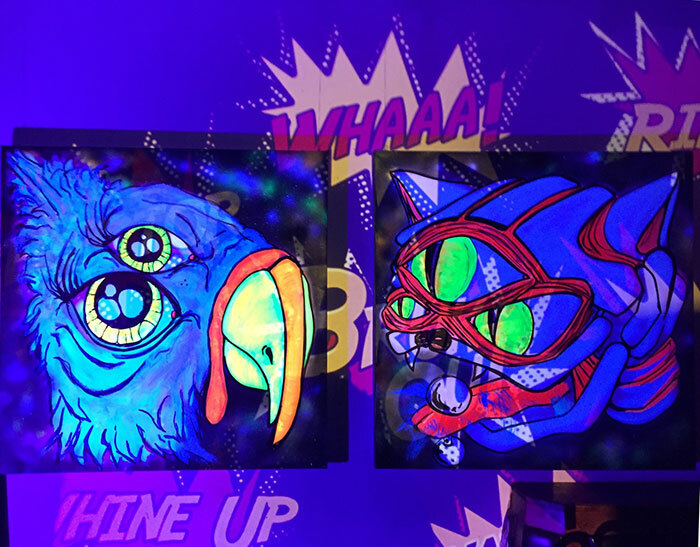 I am selling them individually on Etsy, however if you would like to buy them as a pair contact me directly and i can do you a nice deal. 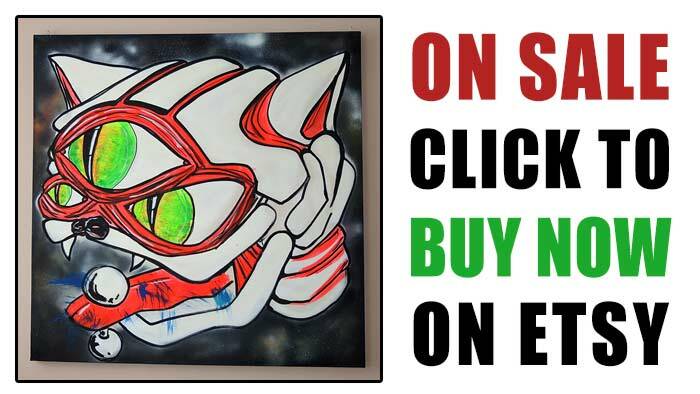 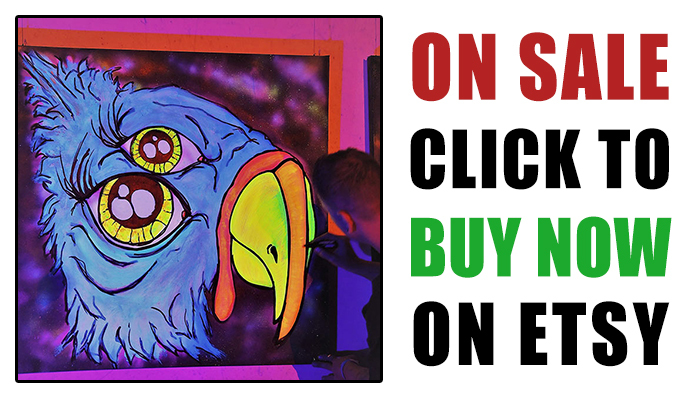 view the listings for the space turkey or triple eye anatomy galaxy cat on my Etsy store.